A Limited Liability Company (LLC) is a relatively new form of business entity, having been recognized by the IRS only since 1980. The LLC combines the ease of startup and operation of a sole proprietorship or partnership with the liability protection of a corporation. Because the IRS doesn't have a tax classification for LLC's, it chose to use existing tax classifications for other business types for LLC taxes. An LLC pays income tax differently depending on the type of LLC and the ownership structure. LLC owners are called members, and an LLC can have one member (called a single-member LLC) or many members. In addition to having an individual person as a member, an LLC can be owned by a corporation, an s corporations, another LLC, a trust, or a pension plan. LLC's are pass-through entities, meaning that the profits of the LLC are taxed by passing them through to the members to be paid on their individual income tax returns, along with their other income. If the owner is an entity like a corporation or another LLC, the income tax for that member's share of taxes is paid on the tax return of the owner (a corporate income tax return, for example). How Does a Single-owner LLC Pay Taxes? An LLC with a single member/owner is taxed in the same way as a single owner business - a sole proprietor. Like the sole proprietor business, the single-member LLC files its tax return on Schedule C. The profit or loss from the Schedule C is included with the owner's personal tax return. How Does a Multiple-owner LLC Pay Taxes? An LLC with more than one member (owner) pays taxes as a partnership. to file partnership taxes, the partnership files an information return on Form 1065 showing the total profit/loss from the partnership. Each partner receives a tax form (Schedule K-1) showing his or her portion of the partnership profit or loss. This Schedule K-1 income/loss is included with the owner's personal tax return. Now comes the complication: An LLC has two other options for paying income taxes - either as a corporation or an S corporation. LLC paying taxes as an S corporation. An LLC can pay taxes as an S corporation. The benefit of filing as an S corporation rather than a corporation is that the S corporation owners can report their business income/losses on their personal tax returns and they do not incur double taxation. The S corporation files a tax return on Form 1120-S and the S corporation owners file a Schedule K-1, which is similar to the Schedule K-1 filed by LLC members. Before you consider changing your LLC's tax status to that of an S corporation, read about the tax differences between an S corporation and an LLC. 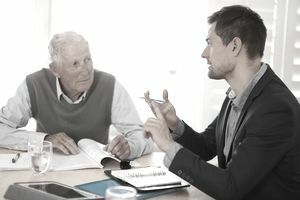 To change tax status to that of an S corporation, the LLC must meet the IRS requirements for S corporations, including (a) it must be a "domestic entity eligible to be treated as a corporation" (that is, an LLC), (b) it can have no more than 100 shareholders (members, in the case of an LLC), and (c) its only shareholders are individuals, estates, exempt organizations, or trusts. The entity must also have a December 31 fiscal year-end. Any filing to change LLC tax status to that of a corporation or S corporation should be done with the assistance and advice of a tax professional. Disclaimer: The information in this article is intended to be general, to provide you with the background you need for discussion with your tax professional. The author is not a CPA or attorney and this information is not intended to be tax or legal advice. Every situation is different, state tax laws vary, and tax laws keep changing.